Comfy bed. Lots of little extras (food, etc) in the kitchen. 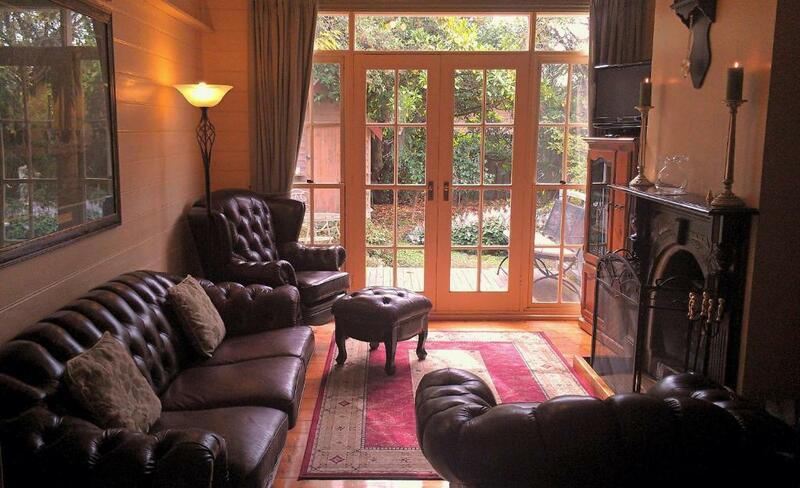 Cosy, delightful, quiet and yet walking distance to shops/cafes. Easy key collection. Heater was on when I arrived, so it was warm. Handy for Warrnambool (see the whales Jul-Sept! ), Tower Hill (extinct volcano turned bush/lake wildlife sanctuary, abundant wildlife, birdwatchers' paradise) and historic Port Fairy. Little things like sunscreen and good coffee pods were provided. Private and comfortable. Perfect for families. Kitchen area very conducive to family games and socialising. Many conveniences provided including board games and DVDs. Lovely gardens good for kids. Location near the rail trail and park great. Tranquility, comfort and a property where owners are very keen to please by careful attention to detail. Exception value and location.we will be back! They always go the extra mile. Great garden. Netflix. Everything we can think about has been provided here. Feels just like home. Little things like chocolate, biscucis and fresh flowers ect, have shown how many attention the host has paid to make the guests feel comfortable. Highly recommend. From the moment we arrived at the property we felt special - the house and garden were beautifully presented, our bedrooms had the lights on and looked fab and then there were chocolates. We stayed for a couple of nights and throughout our stay we felt glad we'd chosen this Birch House to stay. Really cpmfortable for two in the studio. Everything we needed plus a lot of little touches to make it special. Birch House is delightful. The love & care to detail by the owners is remarkable. 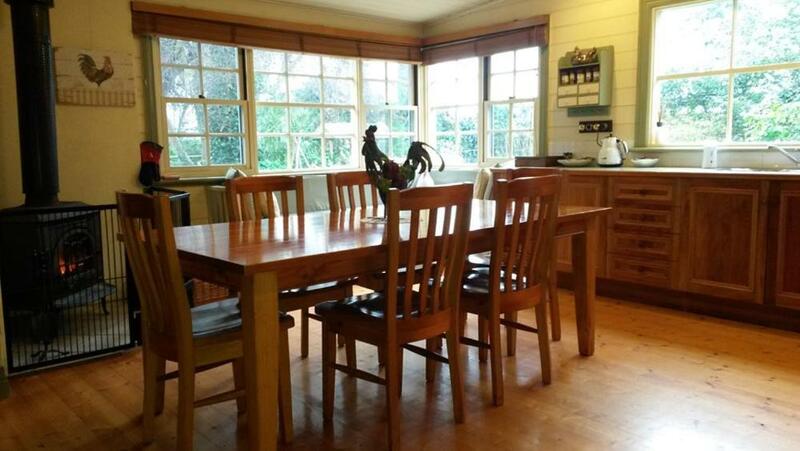 A lovely house in walking distance to the shops & great Irish hotel with excellent food. DIY breakfast food provided & lots of little extras. Comfortable beds and large lounge chairs. There are also lots of DVDs to watch and books to read whilst you are relaxing. Lock in a great price for Birch House Koroit – rated 9.8 by recent guests! Birch House Koroit This rating is a reflection of how the property compares to the industry standard when it comes to price, facilities and services available. It's based on a self-evaluation by the property. Use this rating to help choose your stay! Originally built in the 1880s, the restored Birch House Koroit offers accommodations with free Wi-Fi, a fireplace and cooking facilities. Guests enjoy free use of bicycles to explore the area. 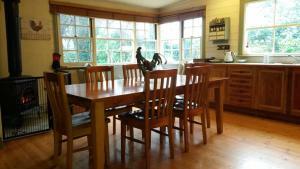 Birch House Koroit is 5 minutes’ walk from shops, restaurants and pubs. It is 15 minutes’ drive from Killarney Beach. Warrnambool and Port Fairy are both 20 minutes’ drive away. 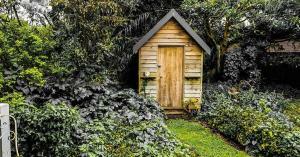 Accommodations options include a 3-bedroom cottage or a self-contained studio. Exclusive use of the property can also be arranged. All accommodations includes a fully equipped kitchen and a TV with a DVD player. You can share a meal in the BBQ area, or relax in the landscaped gardens, where you are welcome to pick your own herbs and vegetables. Lucky guests sometimes spot a friendly koala, resting in one of the property’s gum trees. 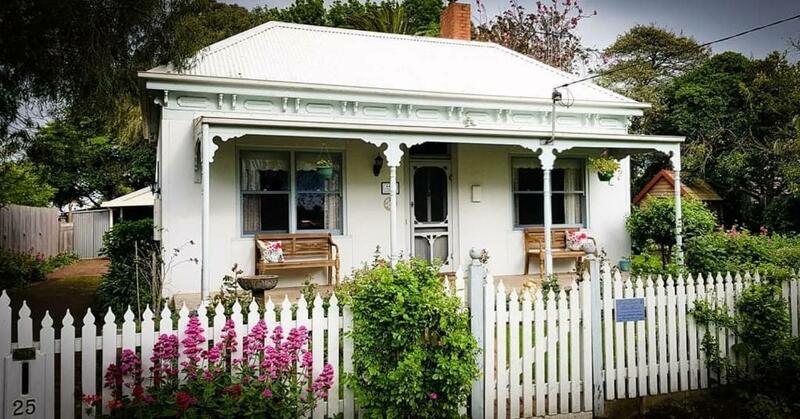 This property also has one of the top-rated locations in Koroit! Guests are happier about it compared to other properties in the area. 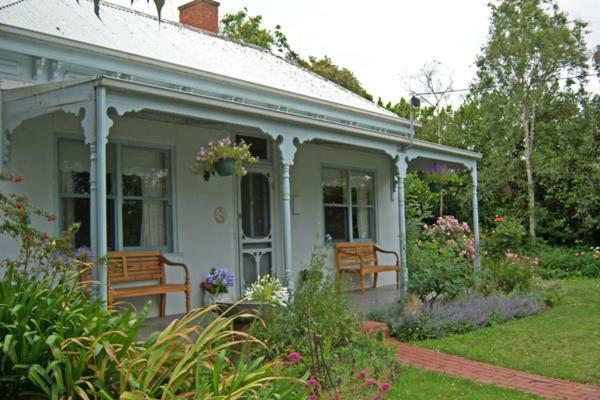 When would you like to stay at Birch House Koroit? Surrounded by private gardens, this studio features a fully equipped kitchen, a dining setting and an private bathroom with a heated towel rail. It includes a flat-screen TV and a DVD player. This air-conditioned cottage features a fireplace, a patio and a spa bath. 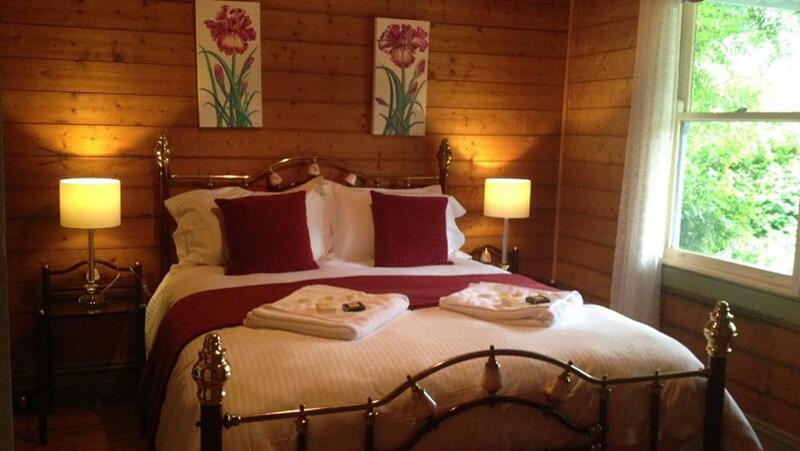 It includes a fully equipped kitchen and a lounge area with a leather sofa suite, a TV and a DVD player. 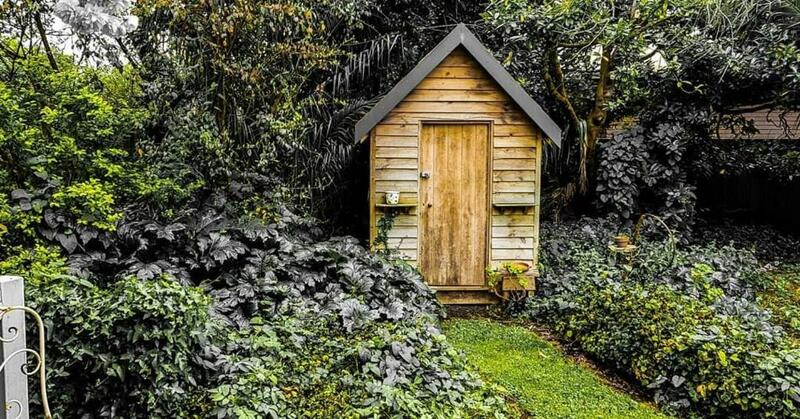 Features a separate Three-Bedroom Cottage and Studio. The air-conditioned cottage features a fireplace, a patio and a spa bath. 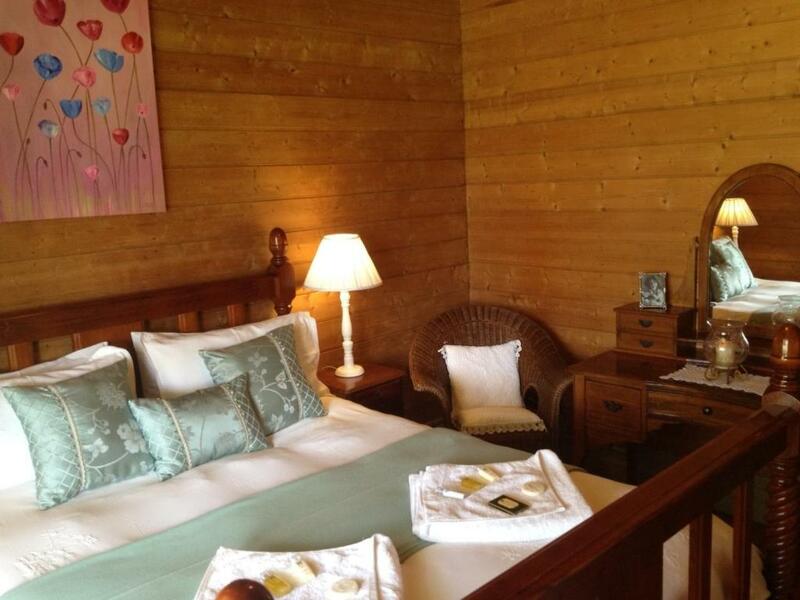 It includes a fully equipped kitchen and a lounge area with a leather sofa suite, a TV and a DVD player. Surrounded by private gardens, the studio features a fully equipped kitchen, a dining setting and an private bathroom with a heated towel rail. It includes a flat-screen TV and a DVD player. Birch House creates an experience for guests, a real feeling of history. The original pine lining wall boards, the 130 year old floor boards, original fireplaces, it gives an insight into how Australians lived in the 1880's. Of course the modern touches of wood fires, airconditioning, dishwasher etc make for much more comfortable living in the house, but the true spirit of the property shines through. This will be where we retire in years to come, but for now, we allow our guests to enjoy this fantastic property. Koroit is such a great place for anyone to stay. It is fully of history, especially Irish history for those interested. Lots of heritage buildings to see. There are lots of dairy farms in the area, and you can often hear cows mooing, which for people who live in the city and suburbs is a pleasant sound. We have koalas visit our garden often, and there is plentiful wild life in the area. Tower Hill is just a short drive, just 5 minutes from Birch House. Tower Hill is an extinct volcano which is Victoria's first State Game Park. There are plentiful emus, kangaroos, koalas, echidnas, tortises, birdlife and so much more to see. Picnic spots, walking tracks, geological significance, even guided tours, it is a very interesting to visit - a must see! The beach is around a 5 min drive away at Killarney, a great beach for kids with a rocky outcrop stopping the surf from hitting the beach. There are rock pools to explore and fishing is great there too! The City of Warrnambool is 10 mins away, and the quaint fishing village of Port Fairy is also just 10 mins away. The famous Grampians are just a 1 hour drive. A perfect central spot for tourists. House Rules Birch House Koroit takes special requests – add in the next step! Birch House Koroit accepts these cards and reserves the right to temporarily hold an amount prior to arrival. Please note that Birch House Koroit does not accept payments with American Express credit cards. Please inform Birch House Koroit of your expected arrival time in advance. You can use the Special Requests box when booking, or contact the property directly using the contact details in your confirmation. Some neighbours noisy. Guy across the street with a no muffler ride on lawn mower mowing his paddock at night with a head light!and a savage sounding dog at the back whose owner kept telling it to shut up. Nothing - everything was to our liking. No complaints at all, but I'd love a coffee plunger or pod machine for "real" coffee in the studio. Also bring a power lead (3-5m) and double adapter with you (in case the electric blankets need plugging in). Shower is a little small but still very good and appropriate for the space. Front door mat. Only other thing was couldn't connect to internet. Computer connected to modem but wifi would not connect to internet. There was not a lot to dislike. Every little detail was taken care of & well thought out. There is a delightful garden attached to the property which some people might think is overgrown, but I think it has character and much loved by the person who planted it including roses that have perfume. Very rare these days. Very private, quiet and comfortable... all the trimmings and a short walk to the main street. The local Killarney beach is beautiful too.